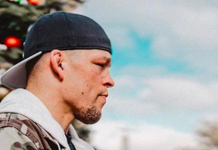 Nate Diaz wants the UFC to upgrade his upcoming UFC 230 lightweight contender fight with Dustin Poirier to a championship fight in new, currently hypothetical 165-pound division. Unfortunately for him, the UFC doesn’t seem into this idea. 165lbs don’t be scared ..
“165lbs don’t be scared,” Diaz said in a Tweet directed at the UFC and its president Dana White. 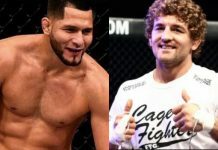 While this classic Diaz “don’t be scared” message was directed at the UFC and White, it got a response from former ONE Championship and Bellator welterweight champion Ben Askren. 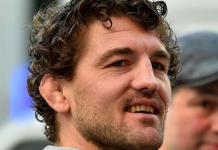 In Ben Askren’s eyes, there’s no reason whatsoever to be scared of Nate Diaz. 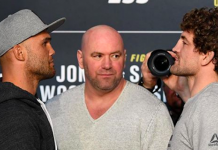 Ben Askren then followed up in several subsequent Tweets, responding to fans. “No my angle is to come if Twitter, say things that are true and watch all of you low IQ UFC nut-huggers lose their minds and then I laugh,” he added in another Tweet. 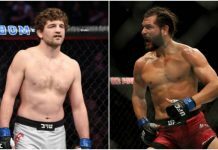 Ben Askren is currently retired, although he’s recently expressed interest in returning to action for the right fight — such as a battle with reigning Bellator welterweight champion Rory MacDonald or a long-discussed collision with former UFC welterweight and middleweight champion Georges St-Pierre. Askren is currently undefeated, owning an overall record of 18-0 overall. 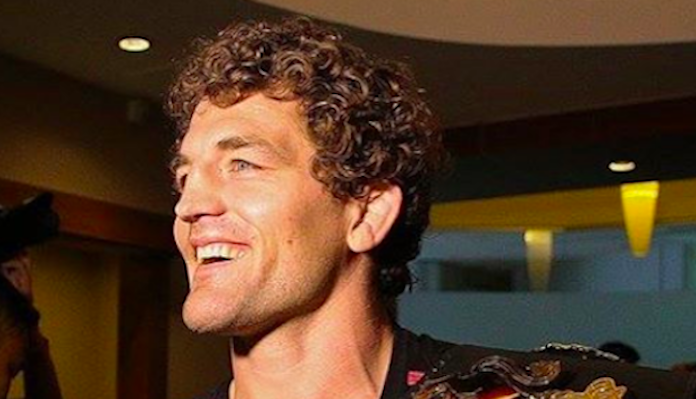 What do you think of Ben Askren’s comments on Nate Diaz?